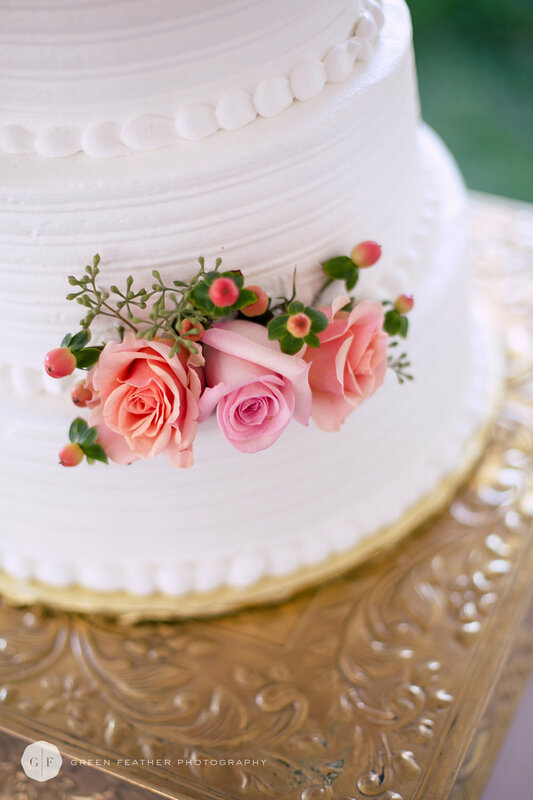 When Lauren and Bobby came to us for Omaha wedding design inspiration and coordination, we instantly knew this couple would create a unique, memorable and personal celebration to honor their big day. We were so excited to be a part of it! 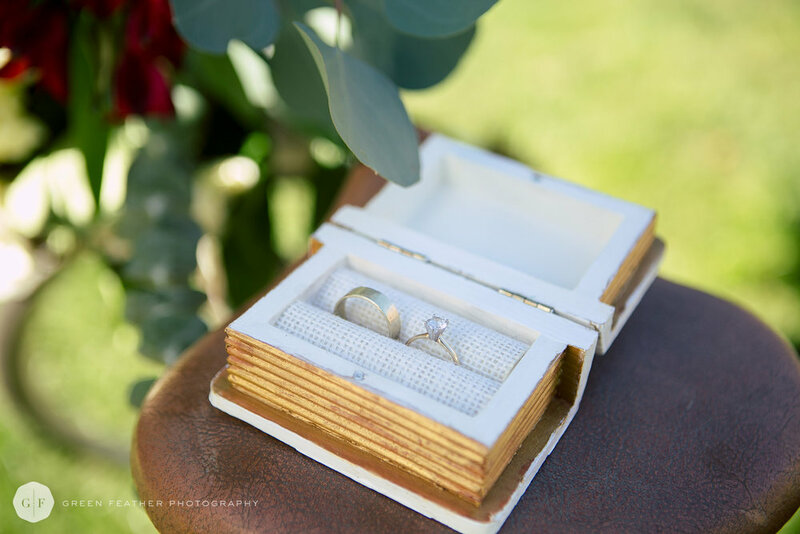 Lauren's dream was to get married under the big oak tree in her parent's front yard, and end the day with dinner, drinks and dancing in the backyard. Her father hand built a beautiful backdrop for the ceremony, which was adorned with ribbon and eucalyptus and roses in shades of blush. Lauren's vintage style shined through with her tea-length wedding dress and her bridesmaids' pale pink coordinating dresses. 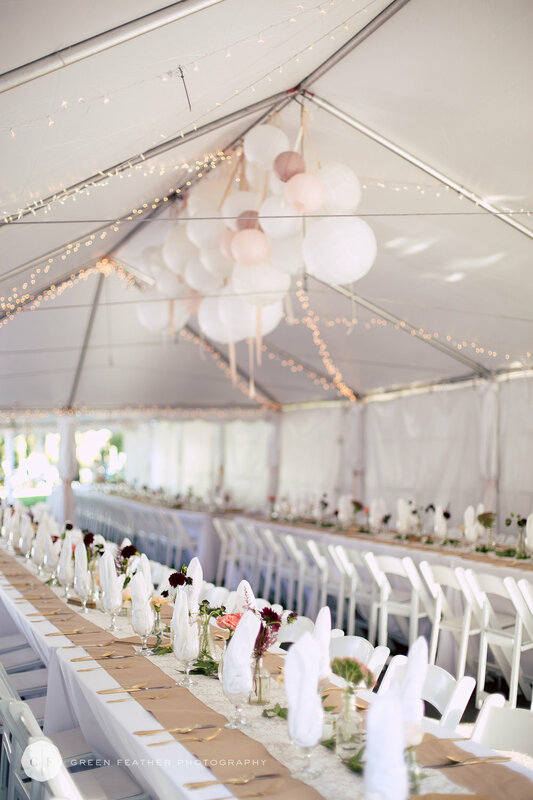 A candlelit dinner was served after sunset under a big white tent with sparkling white lights and lanterns. Vintage books and bud vases filled with roses, dahlias and greenery accented the tables. After dinner, under string lights, the happy couple danced the night away to tunes spun on a vintage turntable. 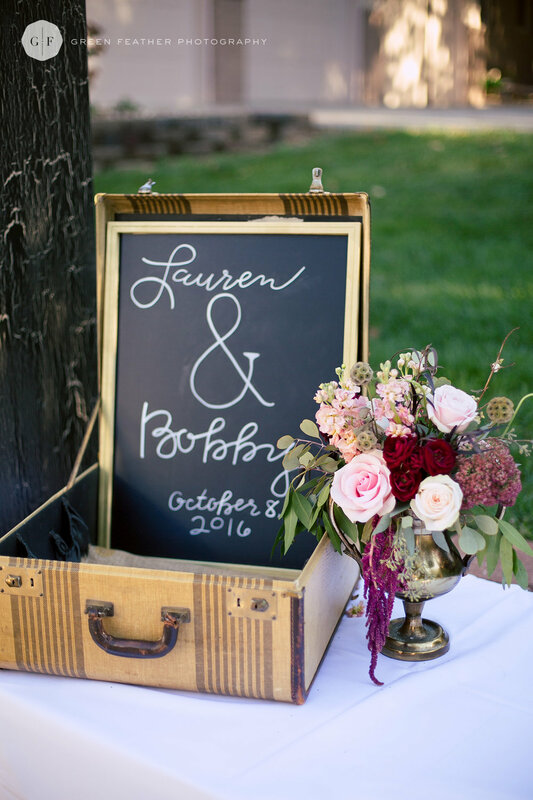 Lauren and Bobby's beautiful October wedding day was one to remember! Check out the gallery below.